Our long-time RC06 member and friend, Anja Steinbach, is our guest blogger of December. Anja shares with us her research insights on intergenerational relations in migrant and stefamilies. And what a pressing issue to discuss as we end 2015. Please leave your comments and feedback below. Anja Steinbach is a Professor of Sociology and department chair at the University of Duisburg-Essen in Germany. 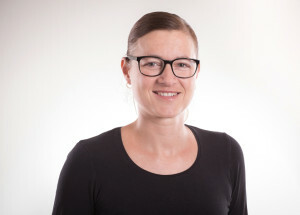 Her research focuses on family studies and migration. Her teaching and research interests include divorce and remarriage, demography, intergenerational relations and transmission, interethnic relations, migration and integration, life course research, and cross-cultural approaches. You can find her here. It was in 1999 when I was not only attending the first RC06 seminar “Migrant and Ethnic Minority Families” in Berlin, but organized it together with Bernhard Nauck, the president of the CFR board at this time. And it was not only my first RC06 seminar; but it was my very first conference attendance at all, as I started as a PhD student in 1998. Thus, it was also my very first presentation at a conference, addressing intergenerational relations in repatriate (Russian-German) families in Germany. So, from the very beginning of my scientific career, my research interests have been on intergenerational relations in migrant families. However, my most recent presentation (together with Karsten Hank from the University of Cologne) at a RC06 seminar – the “Aging Families/Changing Families” conference, jointly organized with RC11 at Syracuse University in June 2015 – was on intergenerational relations in stepfamilies. In this blog posting I would like to bring together all of my research interests of the last decade: Intergenerational relations in migrant- and stepfamilies. Since Bengtson and colleagues started in the 1970s with their theoretical and empirical work on intergenerational relations to answer the question whether familial solidarity between parents and their adult children is declining, because of manifold changes in US society, there has been an overwhelming amount of research done in all parts of the world on this topic. The positive result of all these research activities is that, almost universally, relations between parents and adult offspring are quite close with frequent contact and exchange of help. In Europe a north-south divide can be observed, with closer relations in the south and less close relations in the north. Taking everything together, though, there is no reason for concern: Between parents and children as well as grandparents and grandchildren reciprocate feelings as well as responsibilities (especially in times of needs) exist. Taking into account the importance of support between generations and specific demographic processes – like migration flows on the one hand or the rising number of divorces and remarriages on the other hand – the question arises, if in spite of the overall positive picture some social groups are disadvantaged, for example migrants or stepfamily members. The migrant families share is significant in most of the countries. But because of their diversity – usually there’s more than one migrant group in a country – it is quite difficult to get data with satisfying numbers of migrants for elaborated analyses. Above that, if migrants are included in a survey so that they can be compared with natives, the questionnaire is usually phrased in the native language. However, since migrants are a substantial part of the population we should try our very best to get at least some knowledge about their (family) relations. Regarding the quality of intergenerational relations there are some factors, which lead to an expectation of differences between natives and migrants: On the one hand, migrant families are more or less affected by their socio-cultural background of their country of origin. This is often manifested in differences regarding familial norms, expectations, and also behaviors. On the other hand, the migration experience itself – together with the process of integration – could be a challenge for intergenerational solidarity. Tying up with these considerations in migration (or more precisely integration) research two different hypotheses with antagonistic prognoses can be found: As the solidarity hypothesis claims a strong closeness in migrant families, the conflict hypothesis postulates that relations of parents and children in migrant families are characterized by a high degree of tensions and conflicts. An empirical test of these hypotheses conducted by myself and my former colleagues Helen Baykara-Krumme and Daniela Klaus shows for the two biggest groups of migrants in Germany (Turks and Russian repatriates) that the differences between natives and migrants regarding intergenerational solidarity are overestimated in the theoretical discussion. In accordance with other studies, which investigated single aspects of intergenerational relations, we concluded that one can generalize that emotional closeness is high in all families and conflict is relatively rare. By and large, the conflict hypothesis could be refuted and the solidarity hypothesis could be verified. Regarding the differences in intergenerational relations of members of nuclear families and stepfamilies the hypotheses are not that clear: Here often the hypothesis of residence stands against the hypothesis of biology. Family structures of stepfamilies can be highly complex and very often are included in cross-household constellations. Usually stepfamilies are formed after a separation or divorce of the biological parents as one or both of them enter new partnerships. The separation can either occur when the child is minor or adult. In the former case, the question is whether the child ever lived with the stepmother or the stepfather in the same household. The split up of the parents and the re-partnering could of course also occur when the child is an adult with completely other consequences for the relations to biological and social parents. The relevant factors here (next to the relations between the parents, their resources, the existence of (step-)siblings and (step-)grandparents, etc.) are: The age of the child when the separation or divorce occurred and the length of living with the different types of parents (mother/father/stepmother/stepfather). This is especially interesting in the context of a new development of the placement of children after a parental split up. In some countries like Belgium or Sweden one third of the children of separated or divorced parents live under the condition of shared physical custody (that is, children live an equal amount of time with the biological mother (and her new partner) and the biological father (and his new partner)). This was a widely discussed topic at the CFR seminar on “New Family Forms following Family Dissolution” in Leuven in 2012. Results indicate that the relations of stepparents and stepchildren in adulthood are mediated by the biological parents. The intergenerational relations of stepparents and stepchildren are worse on every dimension, but if the child is in frequent contact with the biological parent and they feel close to each other, the relation to the partner of this parent (which is the stepparent) is usually not that bad. Very recent studies show that it is no problem to have pretty good relations with three or four parents and this could be a future scenario with more families living after separation with shared physical custody. An important prerequisite, however, would be a much greater engagement of fathers in childrearing. Comparing intergenerational relations of natives and migrants living in stepfamily constellations leads us to the intersection of all topics. In one of my studies I could show that the influence of family structure on parent–child contact rates was the same for immigrants as for natives, despite solid theoretical reasons to expect a stronger negative effect for immigrants. Turkish parents see their adult children more often than German parents, yet similar effects of different family structures held in Germany for both Turks and Germans. From this, I concluded that the potential support of adult children for a parent who lives alone or in a new partnership in old age is less than the potential support for biological parents who live in an intact partnership. The potential support for stepparents is even lower. Thus, older parents living alone or in a new partnership and stepparents are in danger of receiving too little care, but between immigrants and native Germans there is no difference in this respect. Regarding intergenerational relations in migrant- and stepfamilies, not much research has been done yet. The reason is very simple: We have huge data limitations, because the proportion of migrants and members of stepfamilies in the overall population is relatively small. Thus, migrants as well as stepfamily members are difficult to study because in official statistics we usually can’t identify them and in social surveys capturing families they are underrepresented. Thus, we should try hard to gather adequate data in the future. In a perfect world, such data would have a large number of observations, be longitudinal, and internationally comparable.